Many artists faced with the problem of realization of his paintings. In particular, when it comes to export of art works abroad. In order to take the picture abroad, you must obtain a certificate indicating that the picture is not a cultural value. - certificate confirming the possibility of the export of paintings abroad. The export of paintings abroad is regulated by the RF Law "On export and import of cultural values". For the export of paintings abroad need to obtain a certificate stating that your pictures do not represent historical and national values. 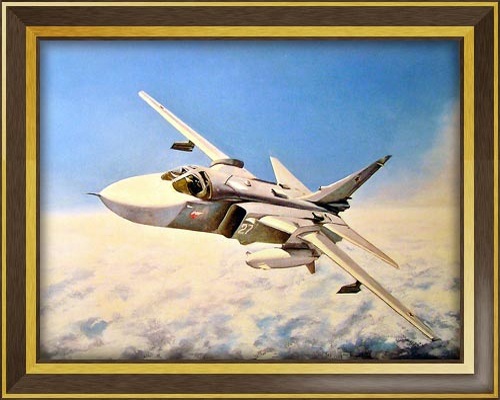 According to the Russian legislation, these paintings are considered the work, dated to the last 50 years. A certificate authorizing the export of paintings abroad, the Committee of culture of the city. Before collection of paintings need to take copies of passport, photograph of the exported work and to bring it all together with pictures to the Committee of culture. For help, you also need to make a list of the exported cultural goods. That is, to specify the name of the author of the picture, its title, year of creation, technique, in which it is performed, and the sizes (in centimeters). If necessary, you also need to take care of the proxy for documents, the documents confirming the right of ownership and evidence of value (if any). The Committee of culture you will pay examination to determine the cultural values of your picture and issue a document authorizing the export of paintings abroad. Now you can send the picture together with this document courier or bring it yourself. Please note that to get the help you need even when you sell your paintings through intermediaries or art gallery. However, this requirement applies only to the export of paintings. In case of exportation abroad of paper pictures or photographs of such problems should not be. Not be removed the items, which constitute historical, artistic, scientific or other cultural value (as a rule, they are made in a special security register), paintings and exhibits are kept in state and municipal museums and archives, cultural values created over 100 years ago. The ban on the export of paintings on other grounds is not allowed.